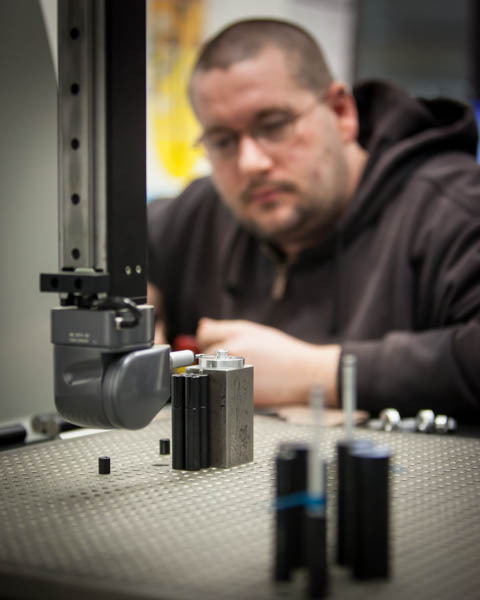 Watch this slide show to learn more about Hudson Precision Products' fully integrated quality system. The slides advance automatically or you can control them directly with play/pause button or the slide numbers. 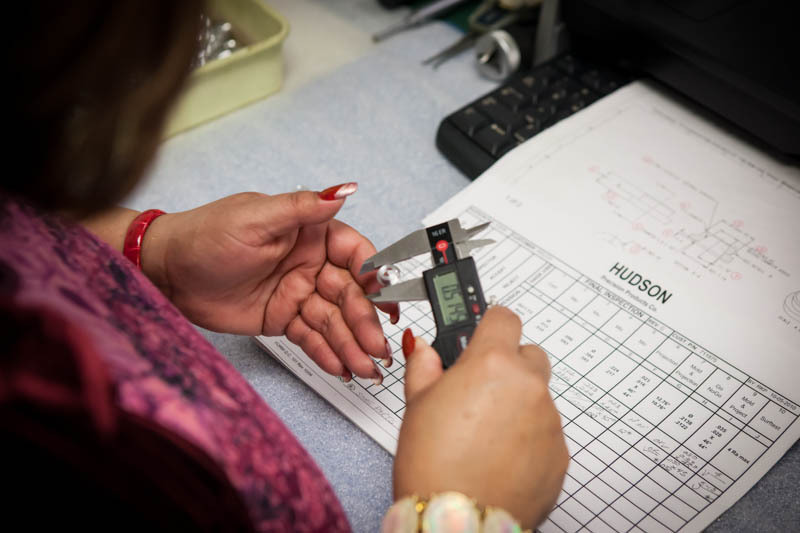 At Hudson Precision Products, quality represents a relentless pursuit of perfection. 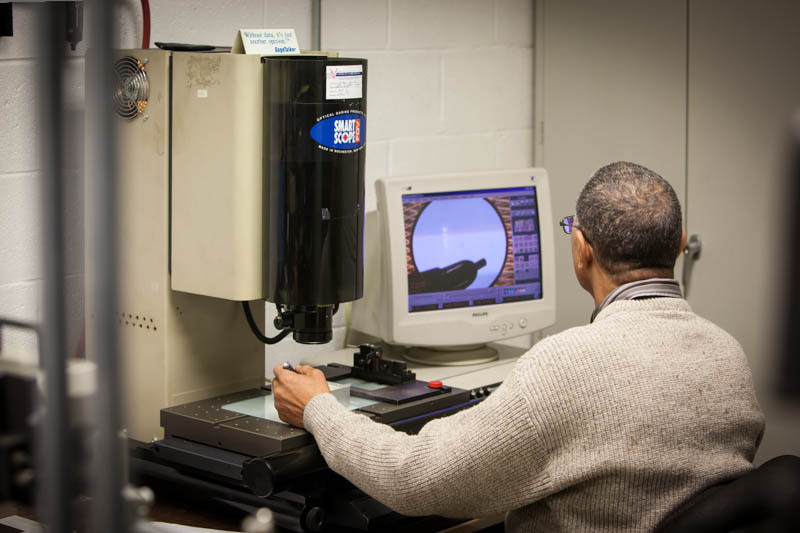 Here are a few of the systems we have in place to assure you of our very best. Check and log all dimensions per inspection procedure. Projection of key contours is verified against master templates. Feature locations are automatically verified and recorded using the programmable SmartScope. 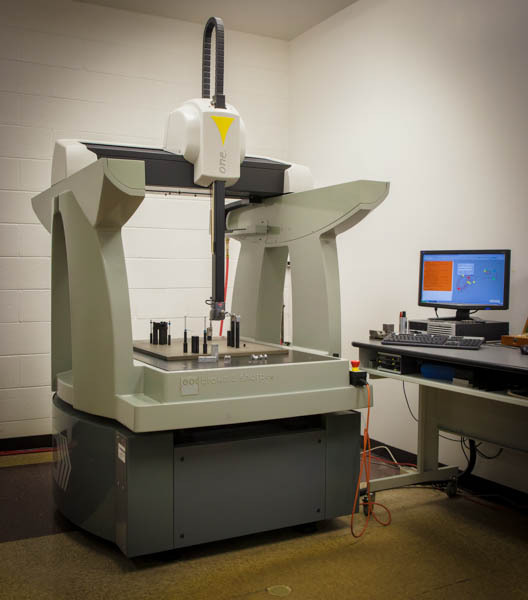 The centerpiece of quality assurance is the coordinate measuring machine. 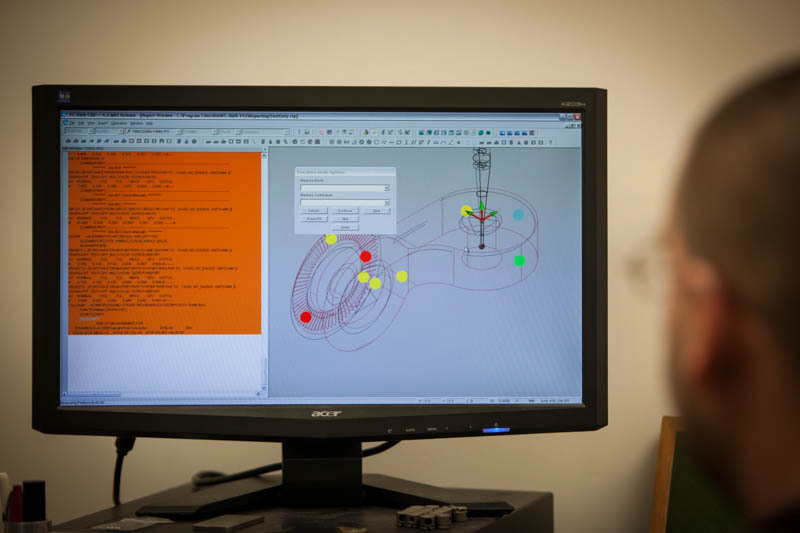 A limitless number of features of all types can be checked for integrity and alignment with other key features. 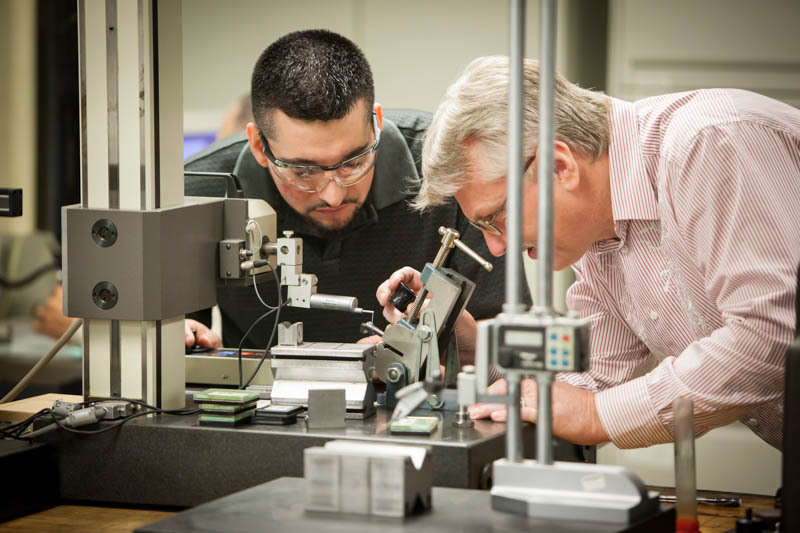 Fast, consistent setups for inspection are assured by detailed setup instructions with photos. 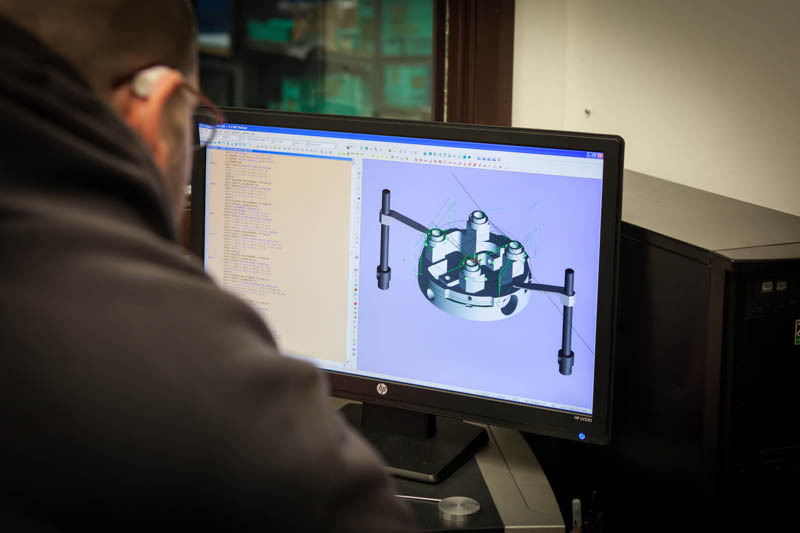 Dimensions determined from the Coordinate Measuring Machine are displayed numerically and visually as part locations over a solid depiction of the part and fixture. 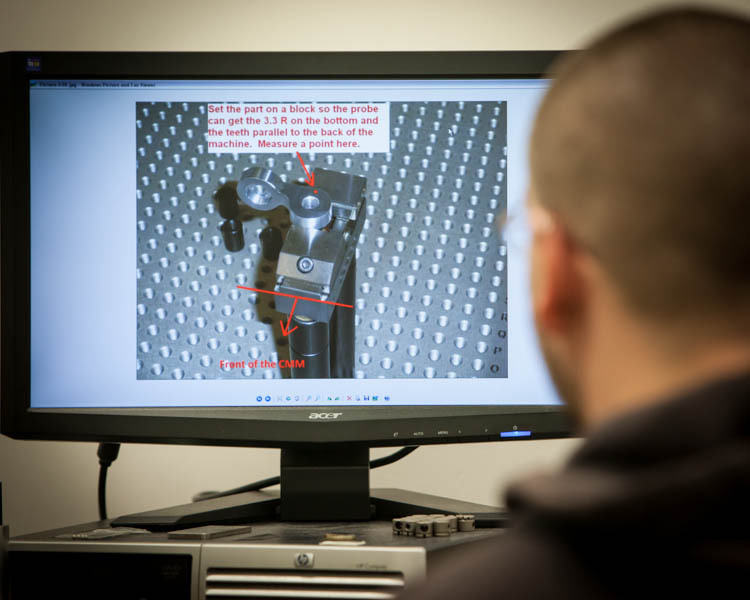 Complex features in any orientation can be checked with the fully nutating 5-axis CMM probe. 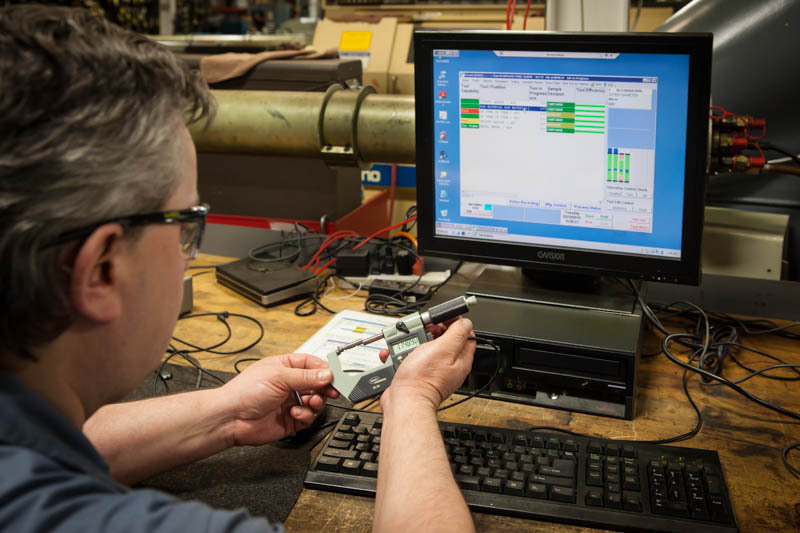 All part inspections are tied together by the Micronite quality system, coordinating and tracking all inspection in a fully integrated and networked environment from office, through manufacturing and inspection. The right equipment in the right location assures a higher level of quality with high productivity. 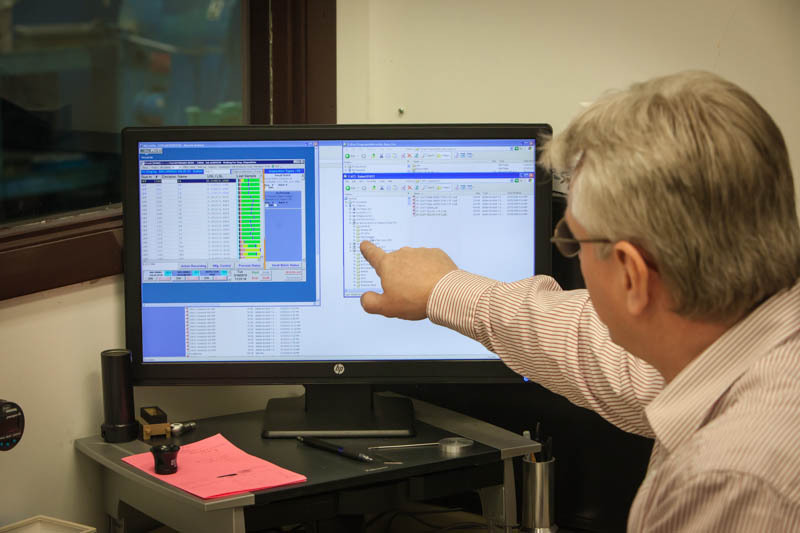 This SmartScope, strategically located near CNC machining and turning centers, quickly checks relative feature locations, automatically recorded in the quality system's core Micronite system through the network. 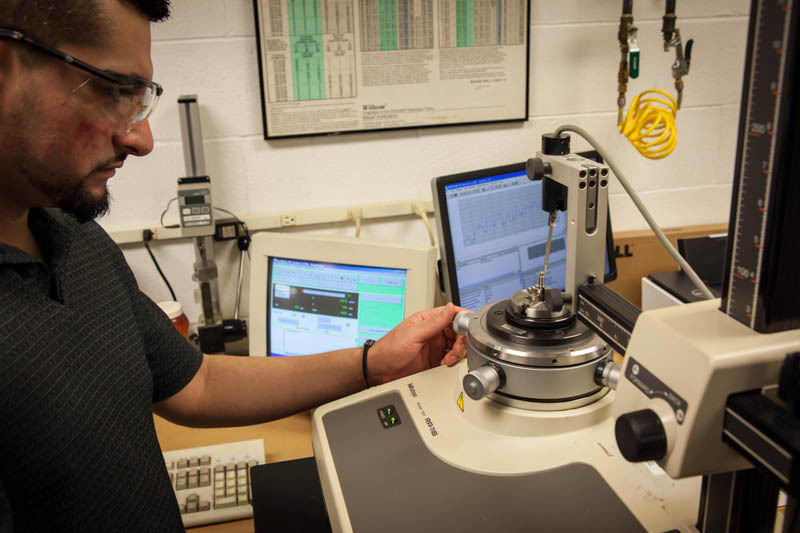 Throughout manufacturing, quality workstations are equipped with computer integrated micrometers, calipers, and other tools that instantly show dimensions relative to the part tolerance and record them into the part's tracking system through Micronite. 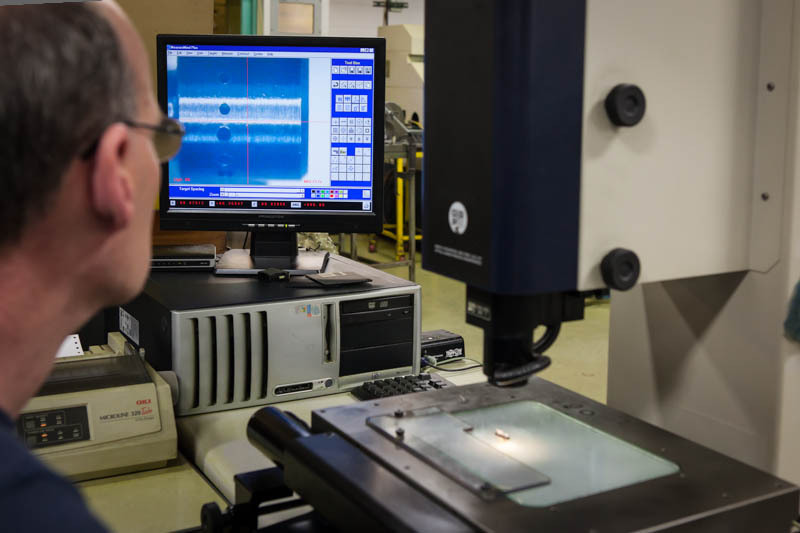 Surface finishes are verified with a profilometer. 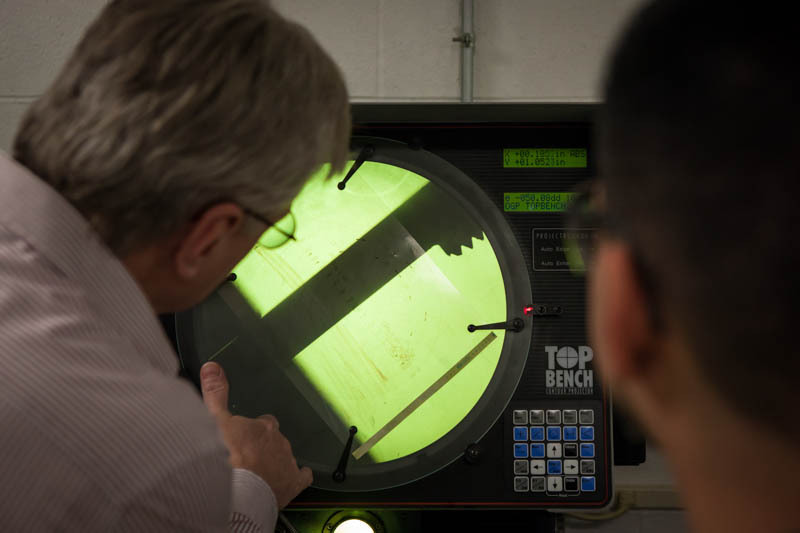 Round features are checked for accuracy in terms of runout, circularity, and concentricity.